Thank you to Marie at Chickaprint for introducing me and leading you to my blog. 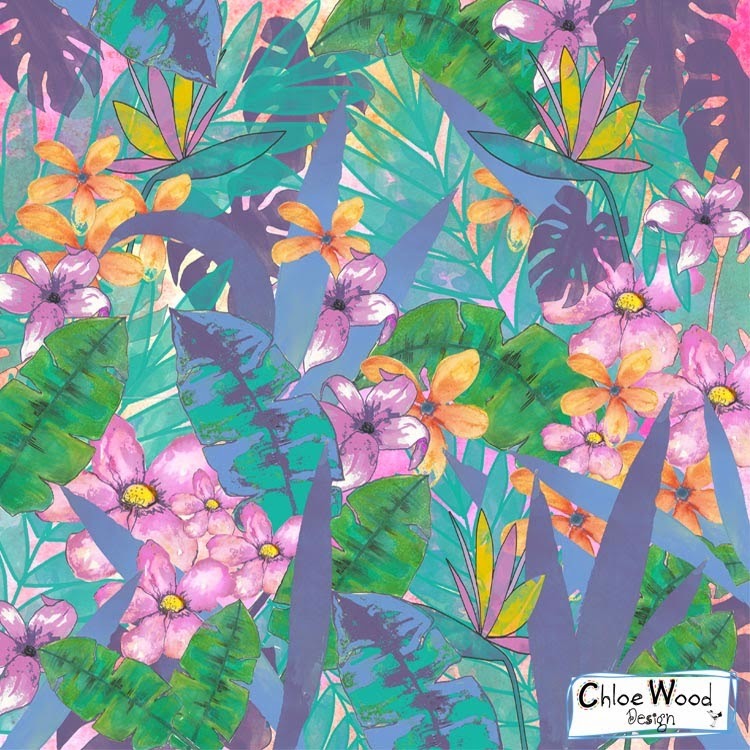 I hope you have enjoyed the range of designs that have been created by this talented group of designers so far..
My name is Chloe Wood of Chloe Wood Designs, I am a surface pattern designer from the UK. I expect by now you have got the idea of what was entailed for this brief so I wont go over it again. 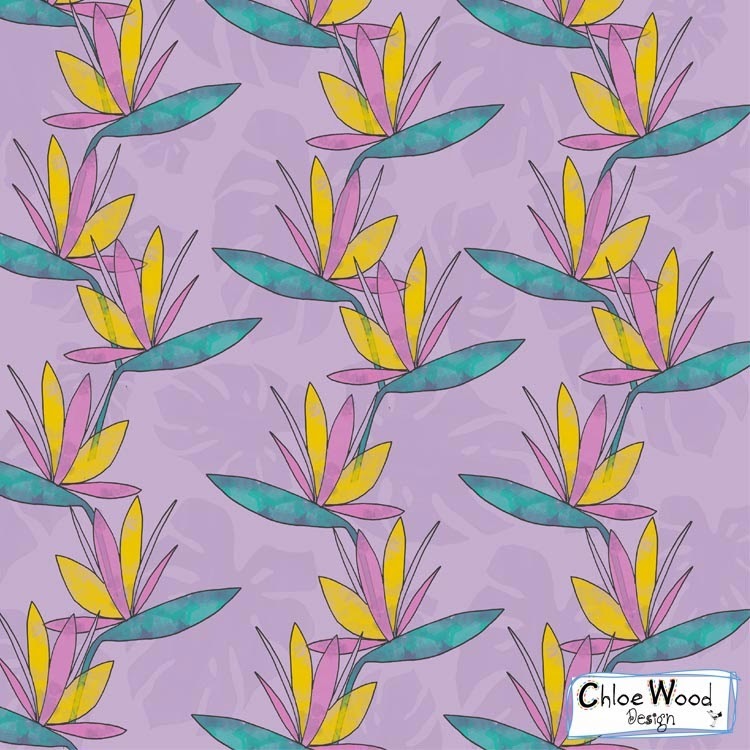 For my Tropical Fusion Collection, I was inspired by these key words: leaves, jungle, flowers, exotic & rain forest. The title tropical fusion reminded me of my travels around South America and I used my photo's as a starting point of inspiration for my initial paintings and sketches. 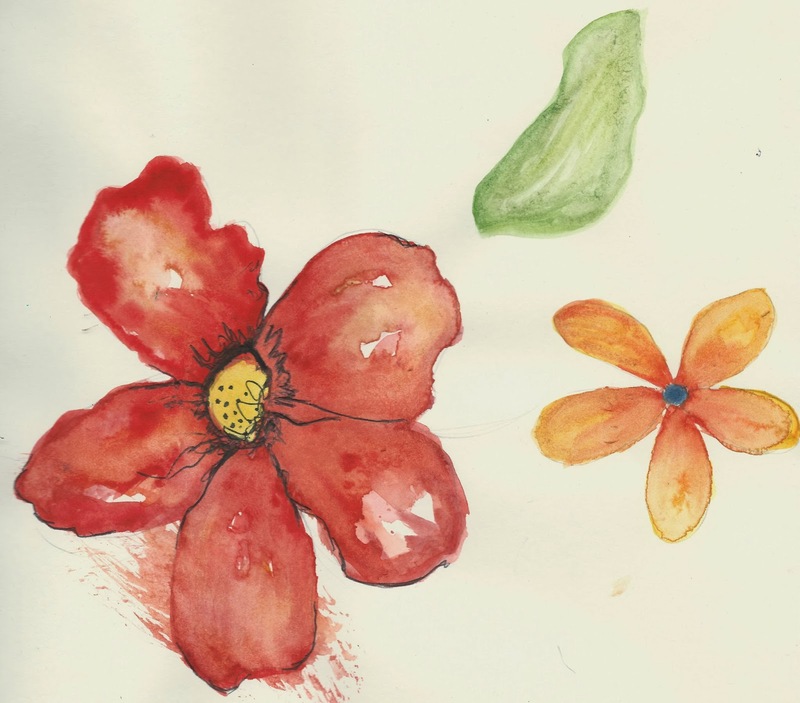 I then wanted to create designs and textures using watercolours. 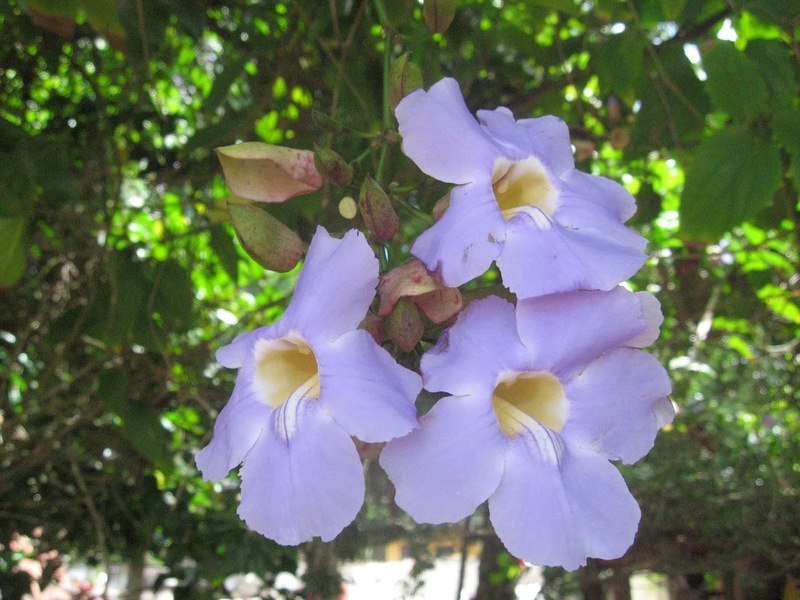 Thank you for visiting my blog and checking out my designs . 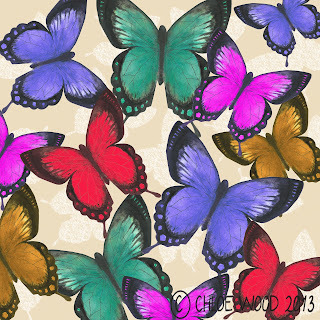 Please continue this amazing hop by visiting Daniela Butunoi's blog Creative Doodlez and see her brand-new 'Tropical Fusion' collection. Daniela is a surface pattern designer from Ottawa, Canada. 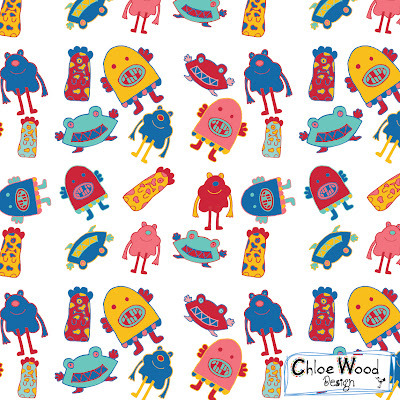 All of my patterns are available for sale or license you can contact me via my website. 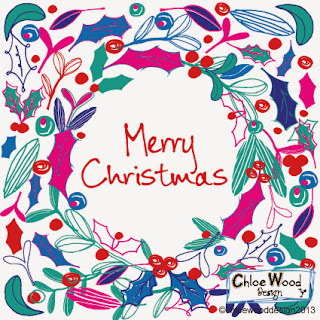 Enjoy the rest of the Blog Hop and I hope you have enjoyed it so far. Hello and a bit belated but happy new year everyone! 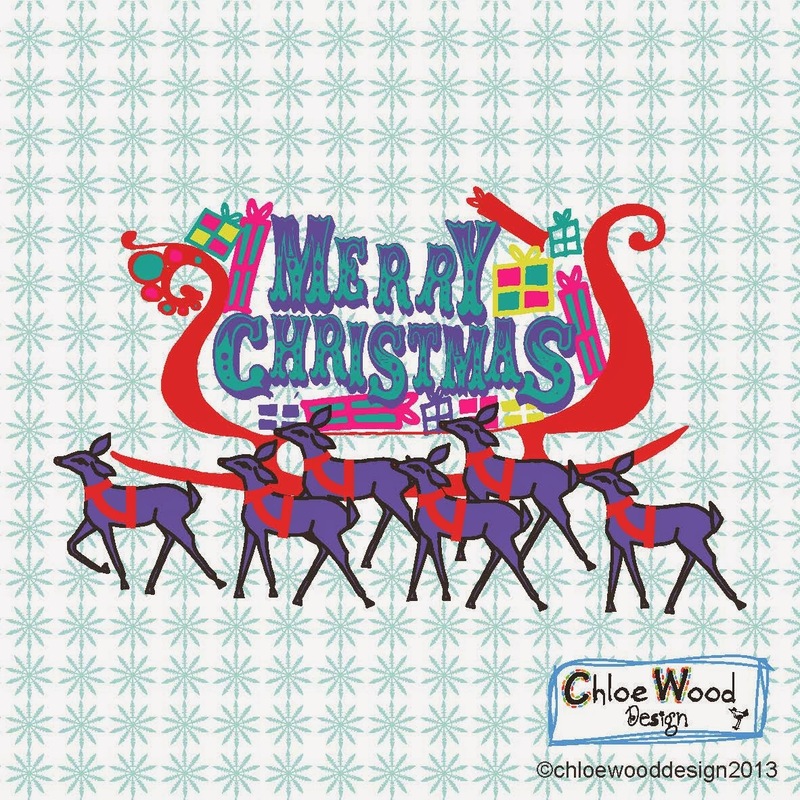 After a nice break over Christmas and new year I am ready to continue with my design and career goals for 2014! I have been busy already this year working Art directing and assisting on music videos. But my main goal is to spend more time developing my design range. 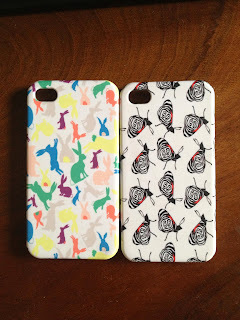 Find an agent and get my designs onto products. Hello it's been a while since I have blogged, this has been due to being busy working in my day job as an art department assistant. I have worked on a range of projects for music videos for Olly Murs and Jessie J ( both involving a lot of sand) a feature film a few short films involving foxes (random) and numerous commercials. In between I have also been trying to keep up with designing. 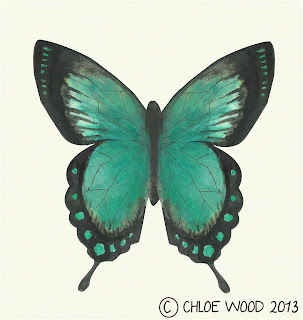 I have created a few more collections which I will give you a sneaky peak soon. I have also started to develop a range of I phone covers which I intend to develop further so they will be available to buy very soon. Also with Christmas coming up I have designed some cards which will soon be available to buy on Etsy. 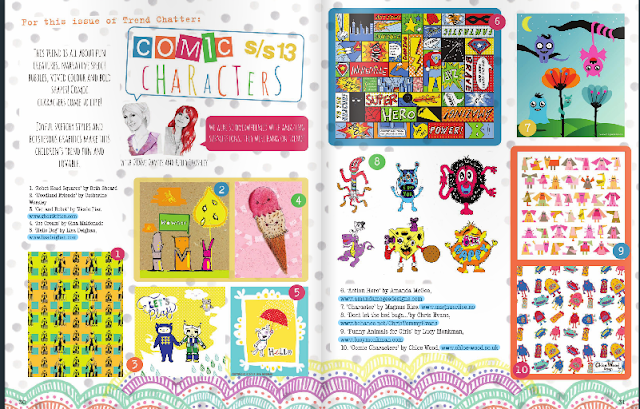 Exciting news one of my designs I created for the Comic Characters' S/S13 children's trend for girls & boys! was featured in the MOYO magazine. I am really chuffed to have my work featured in the magazine as it is full of designers I admire the work of. If you would like to see more designs from my portfolio please feel free to contact me via my website here. 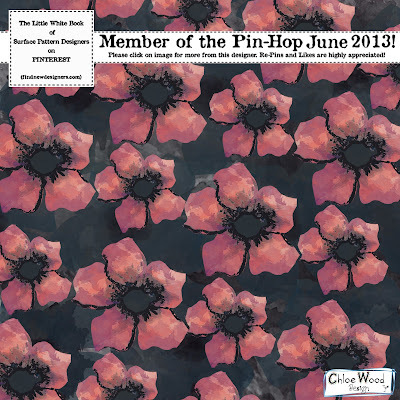 Here it is ....the first ever Pin Hop. 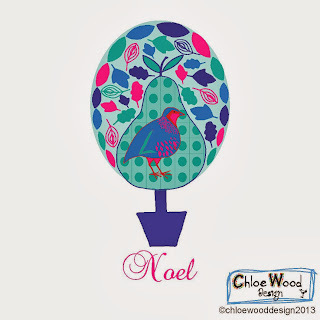 The idea came about when a group of designers decided they wanted to do another blog hop. 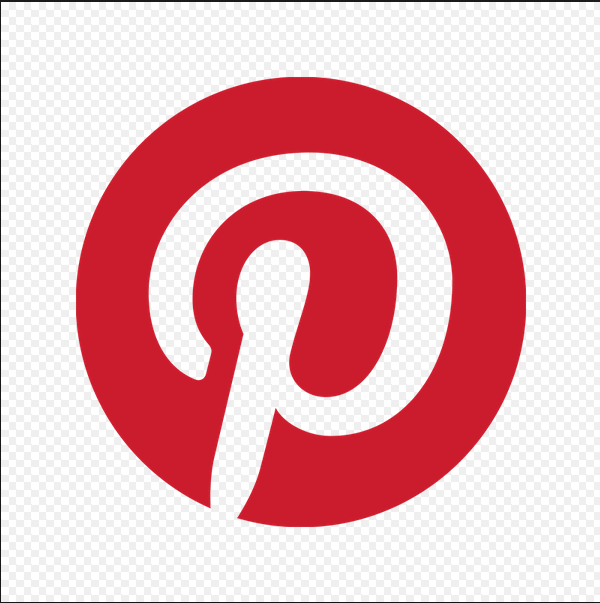 It naturally seemed easier for people to do a Pin Hop on Pintrest. 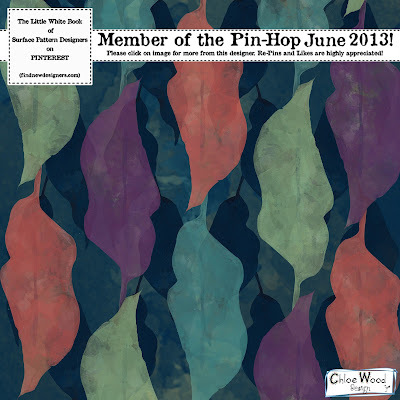 The orchestrator behind this little project was by Tina Olsson of FYLLAYTA she has done a remarkable job putting this Pin-Hop together. 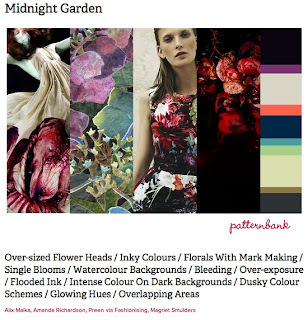 So on Saturday 15th June (this weekend) 50 or so designers will pin their interpretations from one of the 4 themes chosen from an A/W1 3-14 trend brief on Patternbank.com. 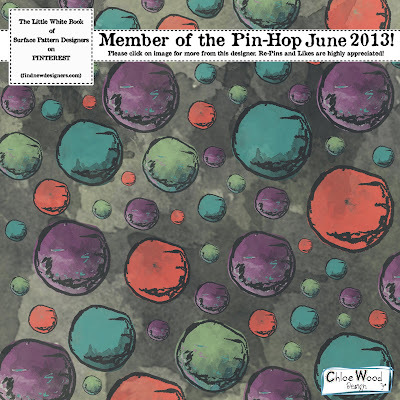 Another fantastic designer participating in this Pin Hop is Tanya Brown. Be sure to look out for her Pin or even click on the link to Tanya Brown/Schatzibrown 's blog where you can find more of her beautiful work. 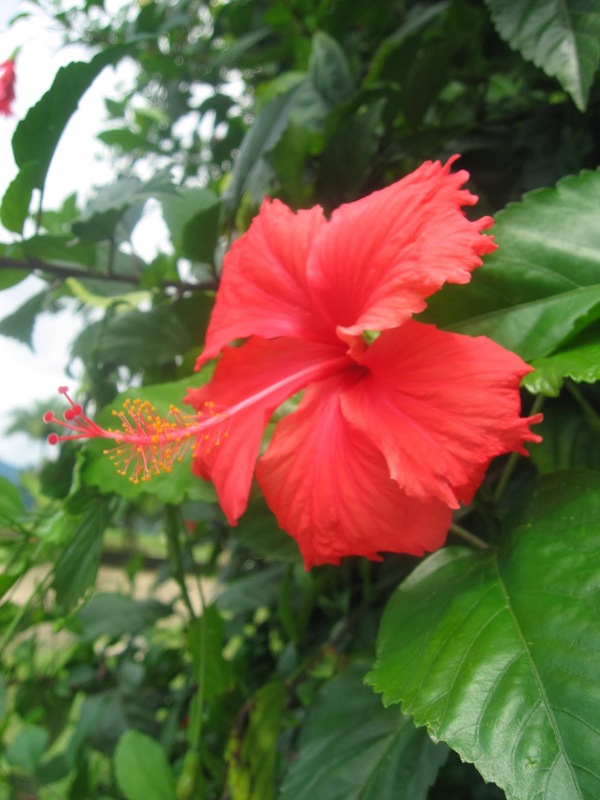 Thank you for visiting my blog and looking at my designs. All patterns are available for sale or license. 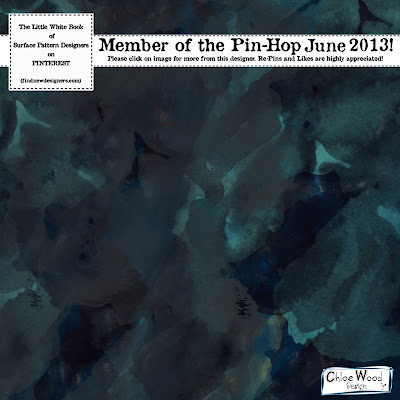 Enjoy the rest on the Pin Hop and I hope you like what we have all created for it. 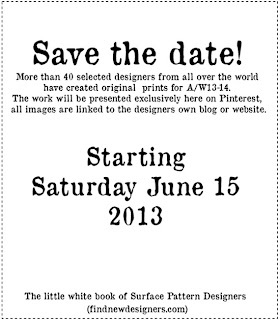 So this month there will be an exciting event in the world of surface pattern design! 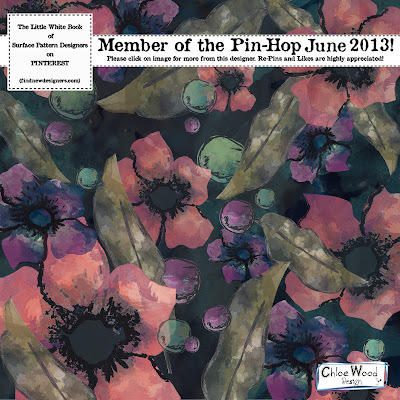 The Pin Hop. 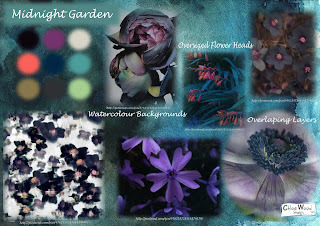 I have chosen Midnight garden and this is my moodboard I have created for it. 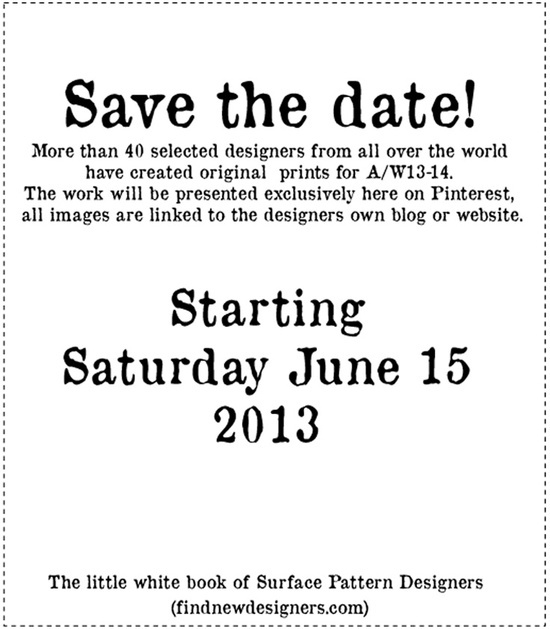 How it works is that on the weekend of the 15th June me and many other talented designers will pin our main design on the Find New Designers Pin Hop Board from our individual boards you can click on the design we have created and this will then connect you to our blogs where you can see the rest of designs we have made to compliment the main one. This will be a very fun event to participate in and I cannot wait to see what everyone comes up with. 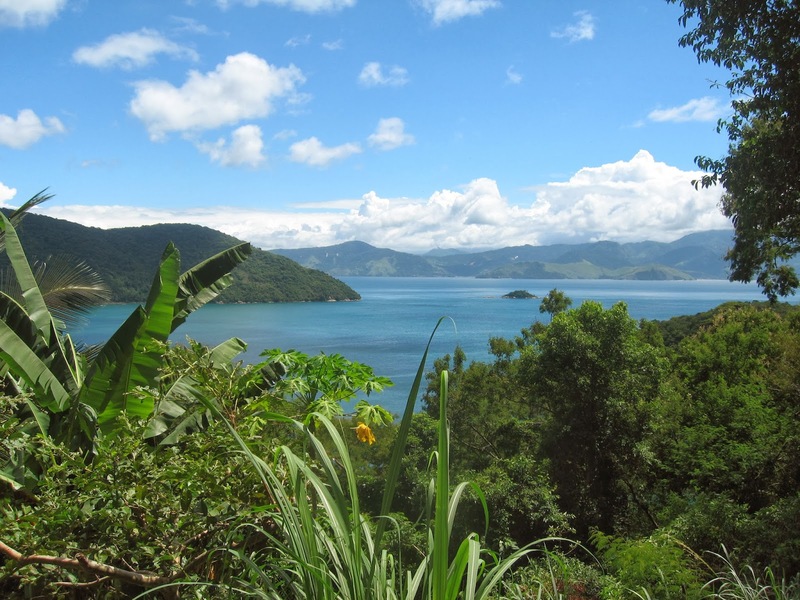 I hope to see you on here this weekeend! Hi all, I have been quietly busy since my last post entering and few competitions and exploring different techniques. Lately I have want to broaden my portfolio and demonstrate how adaptable my design handwriting can be. 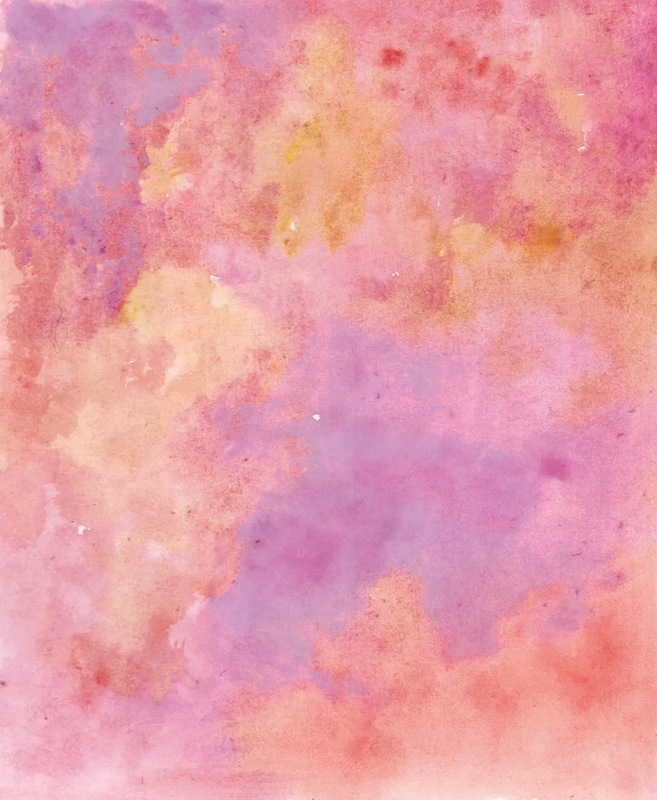 So I have been playing around with water colours and creating designs which would not necessarily associate with my typical style. 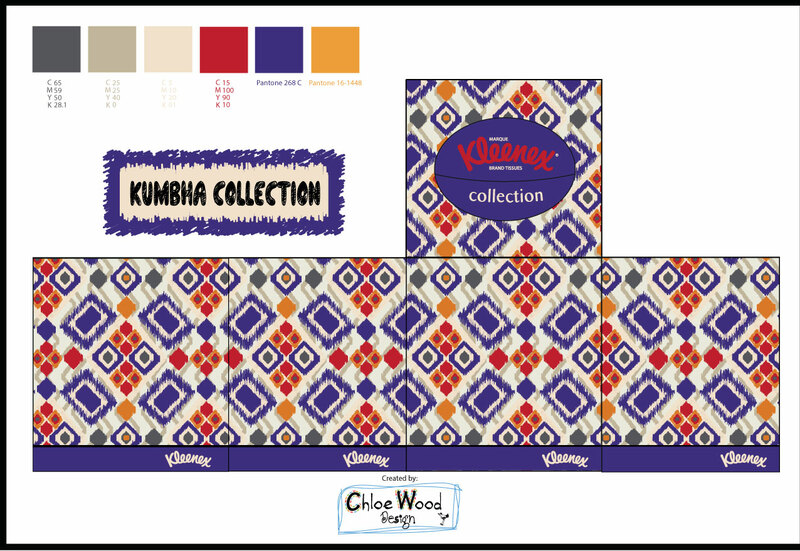 I entered the Kleenex Competition and followed the brief inspired by Ikat designs. 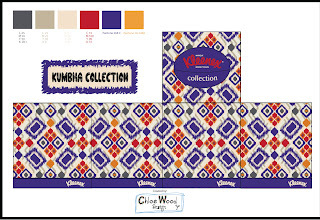 I really enjoyed creating this design and event though I did not get shortlisted into the top 10, I am really happy with the pattern I created. As I have mentioned I have been exploring different methods and processes here is one of the designs I have been playing around with textures and watercolours. 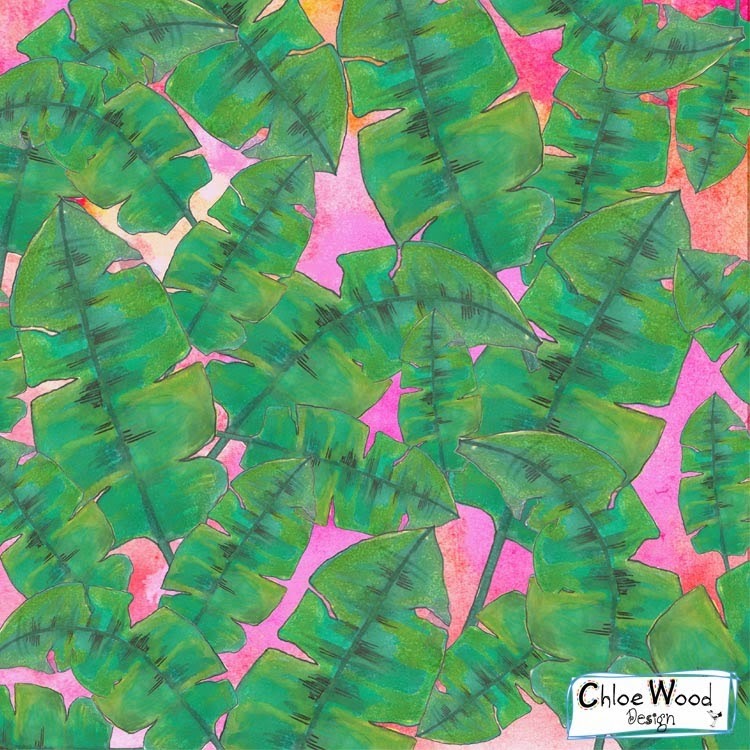 Posted by Chloe Wood 2012. Ethereal theme. Powered by Blogger.